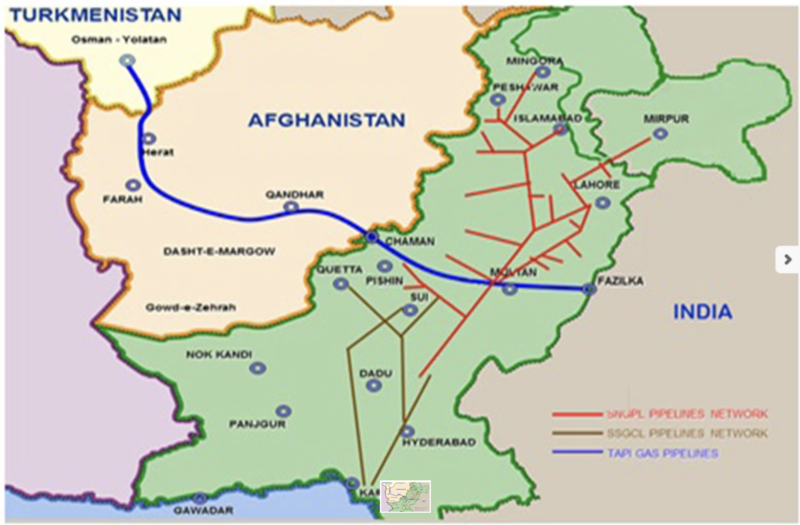 SERHETABAT, Turkmenistan (AP) — Construction has begun on the Afghanistan stretch of an ambitious pipeline that is to carry natural gas from Turkmenistan to Afghanistan, Pakistan and India. The 1840-kilometer (1140-mile) TAPI pipeline is to carry 33 billion cubic meters of gas a year, an important new export outlet for Turkmenistan whose economy centers on its vast natural gas reserves. On Friday, workers at the Turkmen-Afghan border welded the first link crossing the frontier in a ceremony observed on video bridge by the presidents of Turkmenistan and Afghanistan, Pakistan’s prime minister and India’s foreign minister.